Diversity is a key feature of South Africa, we are the only country in the world, a “rainbow nation” where 11 languages are recognised as official, where foods from many cultures are enjoyed by all and especially marketed to tourists, where community leaders include rabbis and chieftains,all india edu results rugby players and returned exiles, where traditional healers ply their trade around the corner from stockbrokers and where housing ranges from mud huts to palatial homes with swimming pools. Over the past 15 years South Africa has experienced enormous change. The achievement of democracy in 1994 led to transformed institutions, car reviewsnew policies and the start of a new society, a true “rainbow nation”. In general we South Africans are fun-loving and laid back. This is a place where visitors are always welcome and where simplicity is the keyword to the South African lifestyle. The lifestyle in South Africa is full and varied. Daytime activities include dining at some of our many phenomenal restaurants, tasting wines at wine farms, or touring any number of natural and historically significant sites. If shopping’s your thing, a visit to one of the country’s large shopping malls may be more up your alley – most have cinemas to boot. By night, experience our vibrant nightlife, starting with sundowners at a local bar or restaurant, and moving on to any one of the hundreds of clubs and bars on offer. Generally speaking South African cuisine is heavily meat-based and has spawned the distinctive braai, or barbecue. This being said South African restaurants offer a variety of exotic dishes and traditional cuisine so that you can not only satisfy your appetite. The European colonists brought their cookery styles and contributions with them, like Dutch fried crueler or koeksister, Malva Pudding and melktert (milk tart). French Hugenots brought wines which has since then had South Africa develop into a major wine producer, with some of the best vineyards lying in valleys around Stellenbosch, Franschoek, Paarl and Barrydale. Then there is Afrikaans favourites such as succulent potjiekos, tamatiebredie (tomato bredie) or stews of lamb or mutton with tomato and onion sauce, with or without rice. A very distinctive regional style of South African cooking often referred to as “Cape Dutch” is characterized by the use of spices such as nutmeg, allspice and hot peppers. After a relaxing drink and some fine food, you’ll find that the nightlife scene in South Africa doesn’t disappoint! We suggest you check out website such as Cape Town Magazine, Eat Out and Johannesburg Live for more local and up to date information. If you are in a festive mood then you must visit the one of our many festivals and events. The National Arts Festival is one of the most important events of South Africa, but don’t forget Rock the daisies, the Klein Karoo Kunsfees, the Grahamstown International Arts Festival, the Durban July and Cape Town International Fashion Week Grahamstown festival, Arts alive, Opikoppie and may more. 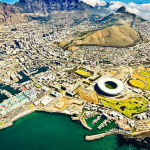 which draws tourists in their thousands from South Africa, from the rest of the continent and from overseas and give the regional and metropolitan economies of the hosting cities a valuable economic shot in the arm. Because South Africa is a place where the weather is good and there is plenty of outdoor space to enjoy, there are a wide variety of great activities to enjoy. Indeed, virtually every activity imaginable is available in various parts of the country. You can enjoy, kite surfing in Blouberg Strand horseback riding, sand boarding, paragliding from Lions Head, hang gliding, skate boarding, surfing, 4×4 trails, snow skiing, rock climbing, abseiling, quad biking, mountain biking, shark cage diving and much, much more! Our most popular sports are soccer, rugby and cricket and over the years we have produced some world class players including Francois Pienaar, Joost van der Westhuizen, Danie Craven, Frik du Preez, Naas Botha and Bryan Habana. In golf, Gary Player is generally regarded as one of the greatest golfers of all time, having won the Career Grand Slam, one of five golfers to have done so. Other South African golfers to have won major tournaments include Bobby Locke, Ernie Els, Retief Goosen, Trevor Immelman and Louis Oosthuizen. Sports fans won’t be disappointed – South Africa is a sporty nation. Some of our favourite sports include tennis, boxing, athletics, netball and swimming and we love soccer! Out of the mainstream, a growing number of people are also crazy about activities like basketball, skateboarding, surfing, windsurfing and many more. 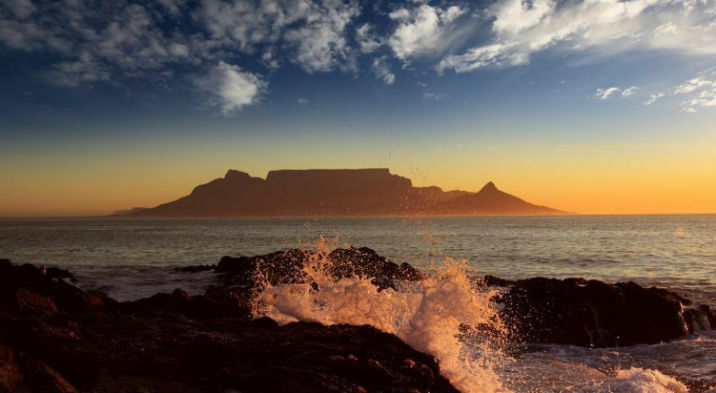 More than this, South Africa has the infrastructure, the capability, the range of accommodation and the tourist-friendly national culture that equips it ideally to host the world. South Africa proved this in 201 during the FIFA World Cup when hundreds of thousands of football fans fell in love both with the destination, and with the friendly, outgoing, welcoming demeanour of the South African people. Should you have any questions with regard to the South African Lifestyle or immigrating to South Africa, feel free to contact one of our experienced immigration consultants.